Some businesses start with a very clear intent and steadily grow in pursuit of that single goal. Others are businesses of opportunity, identifying moments of potential and exploring the possibility that those moments may prove fruitful. Missouri Organic Recycling clearly began as a business of opportunity. In 1991, Dave Anderson was a chimney sweep when the State of Missouri banned green waste from landfills. Dave thought the idea of bringing in brush to transform into firewood could be a good opportunity. That never did pan out; but the opportunity opened the door for a much larger and more lucrative opportunity than Dave ever imagined. It took a good ten years of trial and error, exploring markets and researching different ways to cure and process the organics they were bringing in. Mulch came first, as it was the most obvious next step in the woody material processing chain. Compost followed, which then led into the production of custom soil blends. And by the middle of the 2000s, Missouri Organic Recycling became one of the leading processors and providers of high-quality organic products in the Kansas City area. The next opportunity arrived in 2004 when Missouri Organic Recycling began what is now their award-winning FRED program with the support and cooperation of several state and regional organizations. At first, the company pursued the proverbial ‘low-hanging fruit’ by partnering with large food producers to accept large quantities of waste and off-spec product. That’s when the real challenges started. SSO can be tremendously valuable but it comes with layers of headaches in trying to extract the inorganic contaminants. Kevin admits that after ten years of that, they were ready to find a better solution. 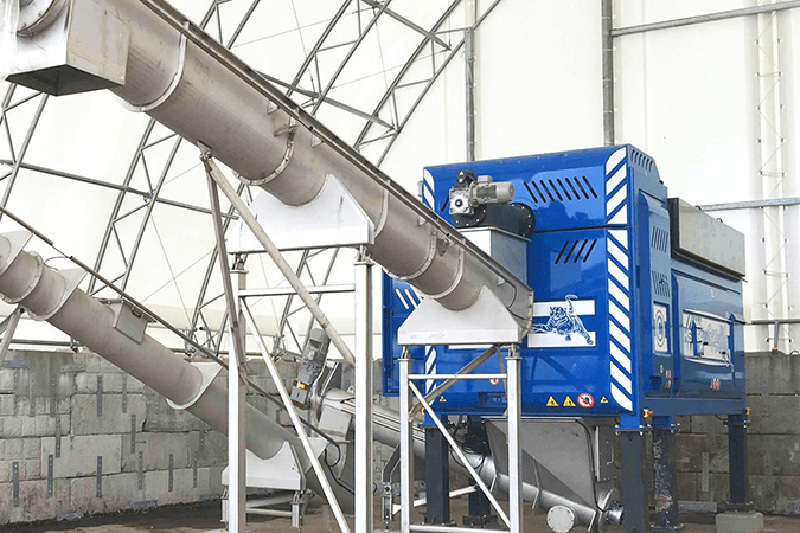 In the fall of 2018, that all changed when the company acquired a Tiger organics processing and depackaging system from Ecoverse. The difference has been dramatic. They immediately realized a cost reduction in sorting out contamination, and can easily process material far faster than by hand. To emphasize just how dramatic the savings have been, Kevin offers an economic picture. Several years ago, the Tiger was a revolutionary concept with little competition, but that is no longer the case as other manufacturers have attempted to duplicate its function. Kevin admits they explored several options before making the decision to go with a Tiger. Today, Missouri Organic Recycling sees about 15,000 tons of SSO pass through their system, but Kevin expects they can easily double that to 30,000 tons within the next two years. He agrees that food waste recycling is not such the odd business that it was five years ago, and as a result the potential is huge.